Below you will find two different versions of our Week 4 Pick'em Pool. The first is our normal black and white, the second has been a little more jazzed up! 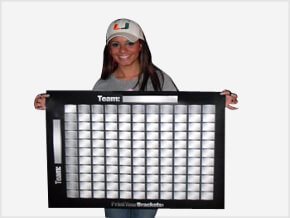 You also have the option to Customize the sheets by editing the title and by adding rules and prize information. For a slight variation you can try our Week 4 Confidence Pool where participants rank their picks based on their confidence of the winning team in each game. For another weekly office pool try our NFL Weekly Props Pool, also check out our complete list of Football Pools. If you are looking for the TV Station broadcasting each game, check out our Week 4 TV Schedule! Don't forget to check out our Week 4 Expert Picks! 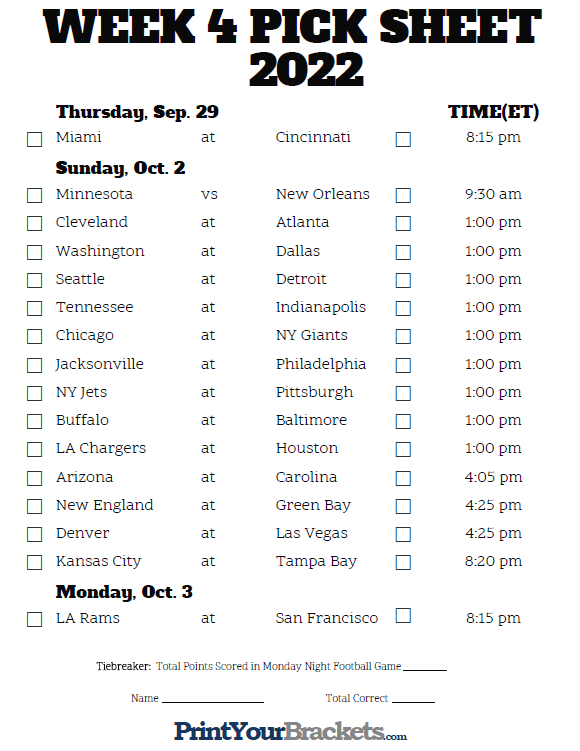 Try our Week 4 Picks Master Sheet where you can combine all of your participant's picks onto one sheet! 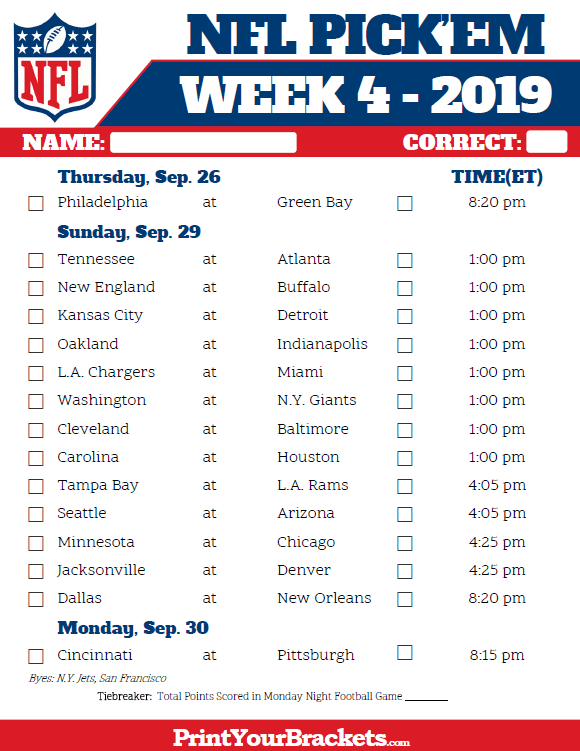 Also check out our NFL Pick'em Record Tracking Score Sheet, where you can keep track of the number of correctly picked games for the entire season.